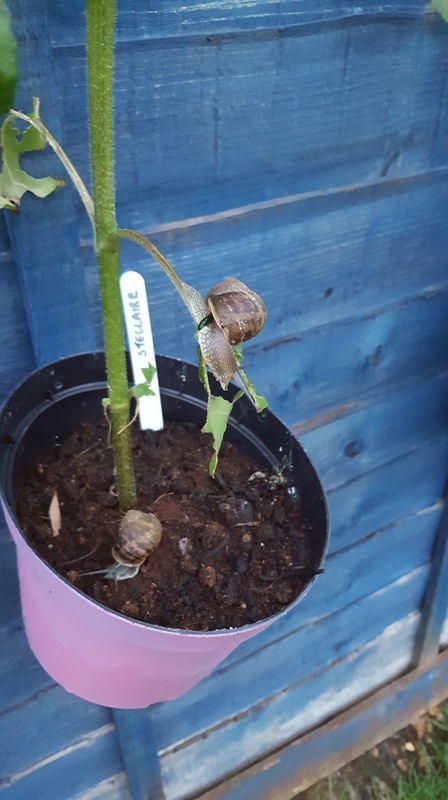 This pair of slimy shell dwellers have been helping themselves to a tasty sunflower snack! Despite losing several leaves, Steclaire still looks healthy and will continue to compete in the Bull-Knox Sunflower Contest 2017. The snails have been evicted from the garden but don’t worry they have their own houses to live in!